Fancy Swirl Dome 14 in. 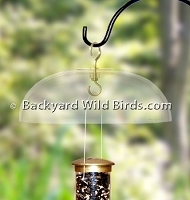 Bird Feeder Baffle fits 2 3/4" tube bird feeder to protect bird seed from the weather. 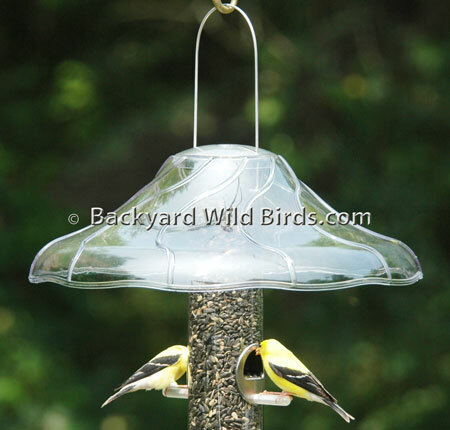 This Bird Feeder Baffle has the advantage of resting on the cap so that it is lower down on the tube and can protect better from mildly angled rain and snow. Simply slip over the feeders bail wire and hang it from the tubes wire. It can be as effective as a large dome that is mounted higher above. It really is uniquely attractive with a slight organic feel.